There’s a lot of talk about electric vehicles lately and for good reason. In October 2018, the one millionth customer delivery of an electric car occurred in the United States, a milestone that many expected to take much longer. But who’s selling electric cars, and can you go into any showroom and buy one? The answer may surprise you. There are currently about forty different electric automobiles available, from about twenty different electric car manufacturers. These include BEV’s (battery electric vehicle) which are 100% electric, and PHEV’s (Plug in hybrid electric vehicles) which have a battery and electric motor, but also have an internal combustion engine. PHEVs drive on electric sometimes, and gasoline or diesel once the battery is depleted. The question of who makes the best electric cars comes up often, and there’s really no simple answer to that question. Just as for gasoline cars, consumers looking for the right electric automobile have different driving needs and desires, and the best electric car for you may not be the best electric car for someone else. While this list is specific to the United States, one might wonder what is the world’s most popular electric car. The answer is the Nissan LEAF. But that’s largely because the LEAF has been available since 2011, and had a big head start on some of the more recent EVs. The Tesla Model 3 is currently selling at such amazing rate, that it will surpass the LEAF in a couple months and become the new worldwide electric vehicle sales leader. Tesla is by far the most popular and recognizable electric vehicle manufacturer. They began selling the Tesla Roadster sports car in 2008, which was followed by the Model S full-sized lift-back, the Model X, a midsize CUV, and most recently the Model 3, which is a mid-sized sedan. Tesla is the worldwide leader in electric vehicle sales and has sold nearly half a million EVs so far. Chevrolet began selling the Volt, an extended range electric vehicle (EREV) in late 2010. The Volt has been one of the top selling electric cars in the US since its launch. In fact, it was the top selling EV car in the United States in 2012 and 2013, and has been in the top 5 in US EV sales every year it’s been available. The Chevy Bolt is a a long-range, ell-electric EV from Chevrolet which launched in 2016 and was the second in EV sales in the US in 2017, trailing only the Tesla Model S.
BMW currently has 5 different electric cars for sale. The i3 is an all-electric hatchback, and also comes with a gasoline range extender as an option. The other four electric BMW’s are plug in hybrid electric vehicles (PHEVs). Those include the i8, a high-performance sports car, the X5-40e, an electric version of the popular X5 SUV, the 330e, the electric version of BMW’s best selling car, the 3-Series, the 530e, a plug-in version of the 530 sedan, and the 740e, the PHEV version of BMW’s flagship luxury sedan the 7-Series. BMW sold over 100,000 electric vehicles in 2017, and is on course to sell about 125,000 electric vehicles in 2018. Nissan’s only EV offering is the LEAF, a 5-passenger midsize hatchback. The LEAF launched in 2010 and as mentioned above, has become the world’s best selling electric car. Nissan has sold over 350,000 LEAFs worldwide, and recently began selling the 2nd generation LEAF. Besides increasing the range of the LEAF, the 2nd generation LEAF also charges faster than the original LEAF, and is now comes standard with a 6.6 kW onboard charger, double that of the original LEAF’s 3.3 kW charger. Longer range EV’s need to charge at a higher rate, because they have bigger batteries. That’s why it’s a good idea to buy a charging station that is powerful, so you won’t have to buy another one in a few years, because your next EV charges at a higher rate. The evolution of the Nissan LEAF is a good example of that. Another example is the Chevrolet Volt. Since the Volt’s introduction, it was limited to 3.3kW charging. However in 2019, the Volt will come standard with a 7.2 kW onboard charger. Therefore Volt owners will want to have a charging station that can deliver at least 30-amps, so they can recharge as quickly as the car is capable of doing. So make sure you not only get a charging station that will charge the electric vehicle that you’re driving today, but also the one you’ll be driving tomorrow. Get a powerful home charging station the first time, and future-proof your investment! Whichever home charging station you select, make sure you check your local incentives for discounts and rebates on home charging equipment. 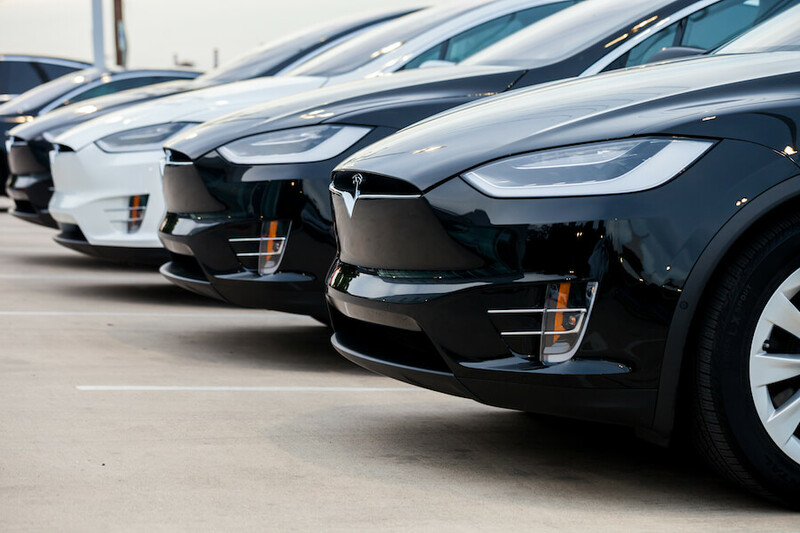 For a full list of electric vehicles from every manufacturer, you can visit the Department of Energy’s website by following this link.